I don’t normally plan out what I’m going to read in the course of a month, but this June is a little different. 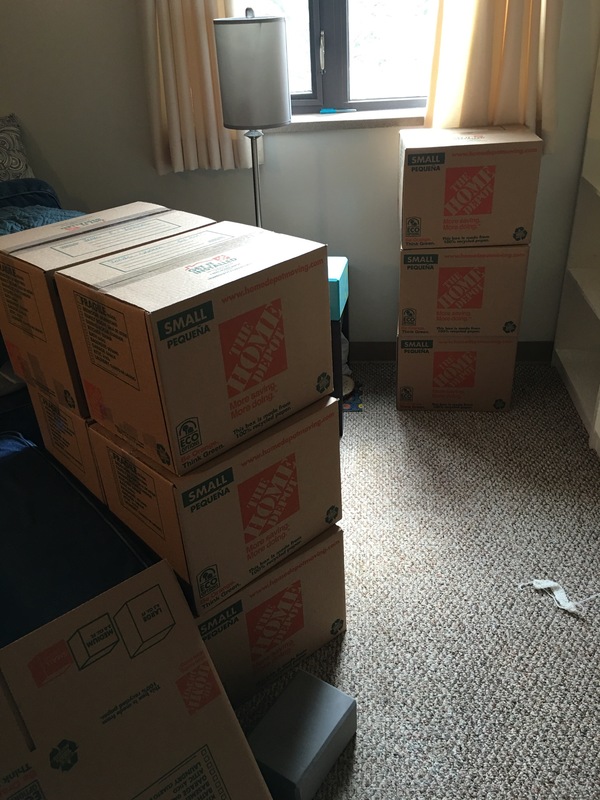 I’m moving toward the end of the month, and all of my books are already packed away in little boxes, as you can see below. So I had to be selective and actually choose which books I was going to attempt to read during this month, because I probably won’t unpack my books again until July. The other reason that I’m planning a specific TBR this month is because I’m participating in #tometopple hosted by Sam from Thoughts on Tomes. Here’s the link to the video introducing the readathon, the link to the video where she talks about specific challenges and her list, and her blog to sign up for the readathon! Sam is really great. If you’re interested in sci-fi/fantasy books, she reviews a lot of them. Now that I’ve talked about all of that – let’s get into what I’m going to read this June. I’m still #manbookering, because there were a lot of books on that long list. Currently reading Ladivine by Marie NDiaye, which is a family drama about a mother with a secret that her daughter must discover after her mother is brutally murdered. It didn’t make the shortlist (which I can see why being half way through the book), but has been enjoyable so far. I’m also reading The Raven Boys by Maggie Steifvater because everyone and their moms are talking about this series. I’m only 20% through the book, but I’m not in love. We’ll see how I feel about it by the end of the book. The other books I plan on starting shortly are listed below; the ones in red I plan on reading as a part of #tometopple / the Uncovered Book Club June pick. So if this list holds true, I’ll read at least 9 books in June. Hopefully I’ll get through some of these pretty quickly and be able to read more like 12-15. I also don’t know if I’ll love the Raven Boys series…so I might have to finish all of those this month. It’s also pride month(!!!) so I have to read some sort of queer literature this month as well. I have my work cut out for me!